Last night Amazon’s Chief Executive Jeff Bezos unveiled a number of highly anticipated new Kindle products and although they’d already been revealed in a US TV ad earlier in the week, the three new Kindle Fire tablets and Paperwhite eReader didn’t fail to impress us. 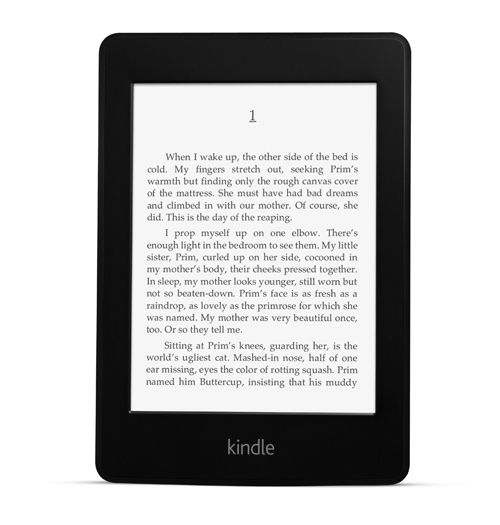 The Kindle Paperwhite is an eReader with a capacitive touch display, which is totally different to standard black and white Kindles because it’s got a high resolution screen with 62% more pixels, 25% increased contrast, a 212 ppi display and a built-in light for reading in all kinds of conditions. The device has a pretty impressive 8 weeks battery life too, which Amazon claims will last even with the light on the whole time. There’s also built-in Wi-Fi (and free 3G connectivity in some areas), Whispersync technology that works for audio too and a new feature called Time to Read, which tells readers the amount of time it will take them to finish reading a certain chapter or a whole book based on reading speed. The Paperwhite is 9.1mm thick and 7.5 ounces. We’ve only got US details about the new Kindle Paperwhite for now, it’ll come in at $119 and the Kindle Paperwhite Wi-Fi + 3G is $179. 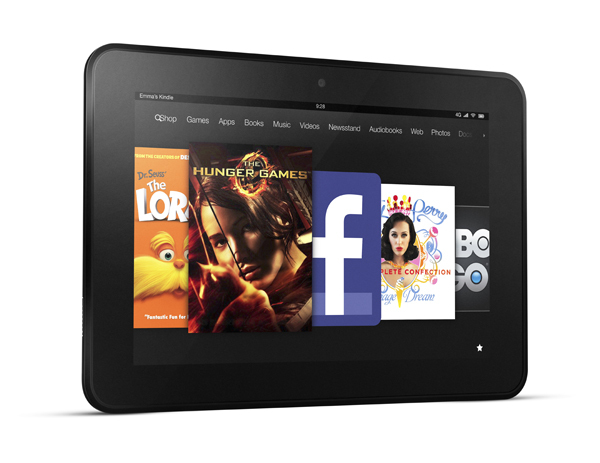 This high-resolution iteration of the Kindle Fire comes in two new sizes, 8.9″ and 7″. The larger version has a 1920 X 1200 pixel resolution and the 7 inch model has a 1280 X 800 resolution. Both devices have super durable Gorilla Glass with a laminated touchscreen that Amazon claims will reduce glare by 25%. They also have stereo speaks and an HDMI port for connecting up to other devices. 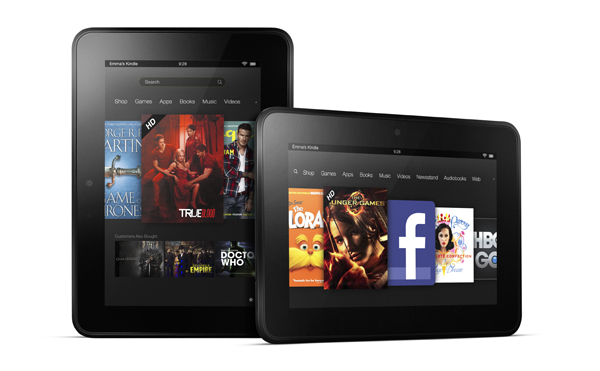 The Kindle Fire HD also has two wi-fi antennas and Mimo (multiple-input and multiple-output) technology to improve internet speeds and connectivity. The bigger tablet can also be bought with 4G connectivity with a heftier price tag over in the US. The 8.9″ tablet comes in at $299 / £159 and the smaller 7″ version is £159 for the 16GB version and £199 for the 32GB version. The current Kindle Fire product has now been improved with all of the best features but with a faster process for 40% better performance, twice the amount of memory and a longer battery life too. It’s been reduced to $159 / £129 too. All the kindle, kindle fire, kindle HD, And kindle paperwhite are technology launching by amazon. and kindle paperwhite is specially made for eReaders soit got high resolutions screen and the feature of its more impresive . so thanks for the information about all the kindles.